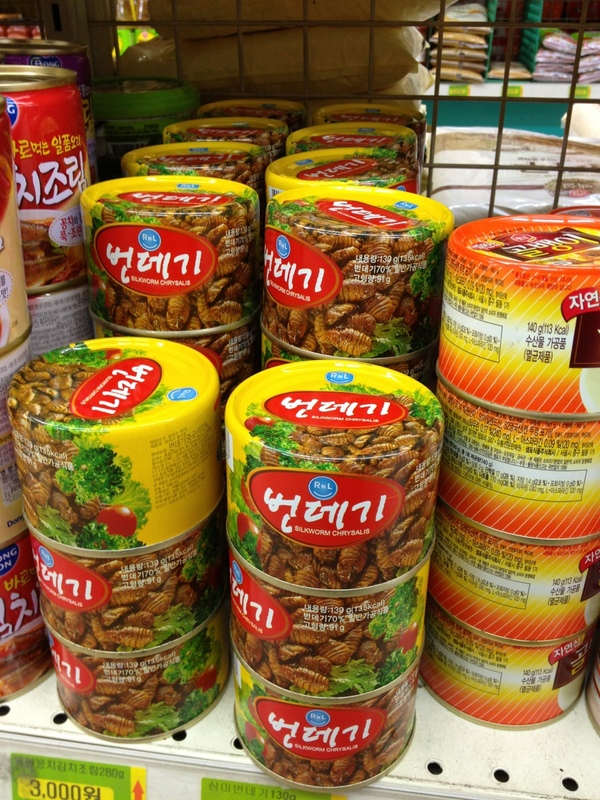 A really popular street food in Korea is silkworm larvae. You can sniff them out half a block away. They smell a bit like death. You can also buy them in cans in the grocery store.